Hi all! 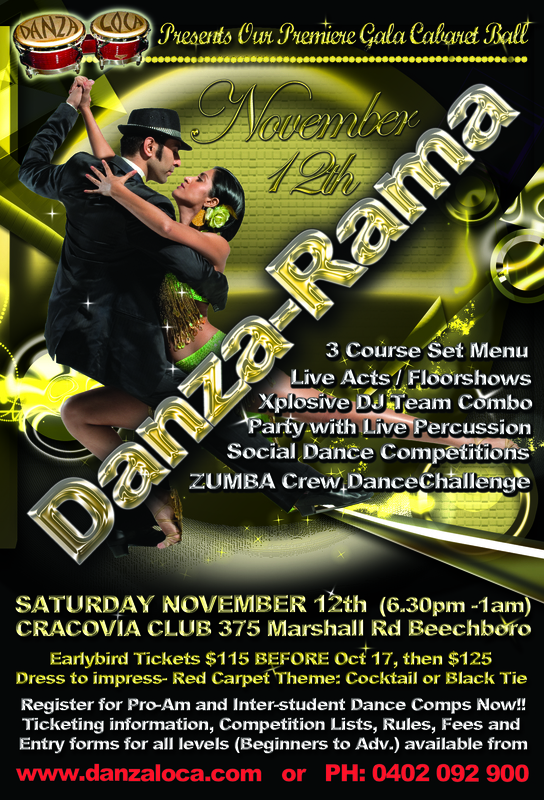 For those of you who have already purchased your DANZA-RAMA tickets: DANZA-RAMA is a 3 course set menu. Vegetarians or people with special dietary requirements: please contact us before MONDAY the 7TH OF NOVEMBER so we can make the necessary arrangements! For those who haven’t bought a ticket yet, they’re still available from the online store. Please enter your meal requirements in the NOTES section during checkout!